As part of the ongoing MD vs. PA discussion, I like to feature comments on the blog from both PAs and MDs. It's a chance to learn more about what life is really like working in the trenches. Today's post comes from Doctor B. an active duty military internist. Dr. B. explains how he went to medical school for free. What his lifestyle is like as an active duty staff physician and gets honest about his salary. How much is a military internist actually paid if you break it down by the hour? 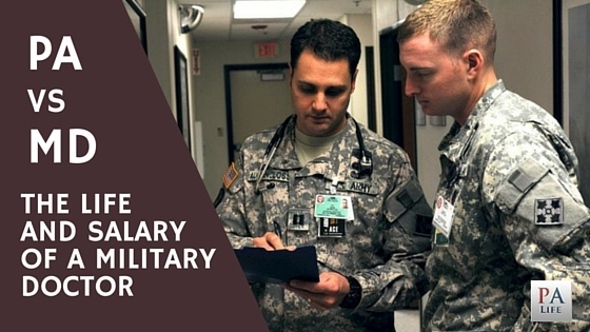 What are the work hours like as a medical doctor in the military? I am a military Internist who went to undergrad at the Univ of Louisville with multiple scholarships (the norm among many of my colleagues) and made $12,000 on top of my costs, went to medical school (USUHS) for free as an active duty 2nd Lt ($45,000/yr), and made about $60,000/yr as a resident. As a staff physician, you start at $135,000/yr but jump to $150,000 after three years (promotion to Major) and, for me, to $190,000 two years later (bonuses). Average is closer to the $200-210,000/yr during career. Average net (as staff) is around $140,000 for argument sake. Total in 28 years (20-year service not including retirement here) is $2.78 million. We work 46 weeks per year (30 days of leave + federal holidays) at the expense of deployments (during deployment, I worked 12-16 hrs per day, six days per week, eight months). For a nondeployable IM physician (doesn’t exist mind you), the average hourly wage assuming 55 hrs/week [I actually do 60ish with resident and medical student teaching], 46 weeks per year, 28 years working) comes to only $39.36/hour. This comes at the cost of (a) deployments, (b) military politics that interfere with proper medical care (a “Captain” physician has difficulty with his “Lt Colonel” nurse for example), (c) added stress from frequent moves, and (d) innumerable other things. Personally, I love it. This goes up to ~$60/hr if I factor in that I might collect retirement for 20 years afterward. I am probably GROSSLY underestimating my hours, however. For instance, I do 10-12 weeks of inpatient but only get a TOTAL of one comp day PER WEEK of inpatient (could factor in 0.625 days of leave I accrue during that inpatient week, but this doesn’t make up when compared to a typical hospitalist schedule). My actual duty includes 10-12 weeks inpatient, acting medical director (19 physicians), resident clinic director (30-40 residents), medical student preceptor (two months per year during administrative time), staff physician (only 350 patients), disaster response team lead, group practice management advisor, and I am the de facto physician alternate for several working groups. I average about around 800 RVU (relative value units) per month. So, hey, if you're feeling patriotic and want opportunities early in your career, I’d say go military MD. I wouldn’t, however, just do it because the “actual” hourly compensation is better. "How does the salary and lifestyle of a military MD compare to that of a military physician assistant?" The typical salary for a US Air Force Physician Assistant ranges from $89,009-$103,658, with an average salary of $96,334. How About the PA Military Lifestyle? If you have read this far, you will have seen that Dr. B. works A LOT. While the interwebs are vague, the PA military lifestyle working stateside appears to be similar to that of a non-uniform, civilian PA. The room for growth within the military as a PA follows a linear path, with the ability for more training in sub-specialties. This is a very logical approach, which makes transitioning to new specialties an exciting option. There appears to be a lot of support built naturally into the system. I think this is a big draw of the military in general. Among military PAs I have met, there is a tremendous amount of job satisfaction. There is also the potential for overseas deployment which (depending on how you look at it) is both an exciting and/or scary option. You may have a lot of options civilian PAs don't have, and opportunities to branch out. 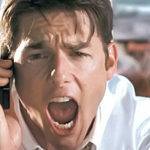 Your PA school is fully funded, this is a big deal! If you have experience as a military PA let us know in the comments section. I would love to feature this in a future blog post. PS: I have some big plans up my sleeve for the upcoming months so if you haven't signed up for the mailing list do so now. We also made a quiet release to Amazon of our new book "How to Write Your Physician Assistant Personal Statement" as well as some behind the scenes updates to the PANCE and PANRE Academy. Stay tuned, it is a big year ahead for the PA Life, and I couldn't be more excited! My name is Seamus and I am an Active Duty PA-C in the US Army. I joined the Army straight out of high school in 2003 as a combat medic. After several years working up the ranks and being stationed in Italy and having 3 trips to Afghanistan and 1 deployment to Iraq doing everything from being a rifle platoon medic to the triage sergeant for an Airborne Forward Surgical Team (FST) I applied for IPAP. While none of my prior experience was a requirement, the Army does like PAs who have “been around the block” so to speak and are not just civilians in uniform. IPAP was the single hardest 3 years of my life (counting my 3 years deployed btw.) It was a total blur. I ate, slept and breathed medicine during that time. Many of my classmates failed out of the program and we graduated about 40 of the original 70 in my class. My life consists of seeing soldiers as patients about 3 days a week and working for my infantry battalion for the other 2. I have weekends “off”. Truth is, I am bringing work home most every night, mostly my laptop to finish notes, send emails, doing administrative paperwork, and other kinda boring and tedious tasks. But all that hum-drum it totally worth it when I get back into the field. My unit recently finished a rotation to the National Training Center at Fort Irwin, CA. It is a desolate high desert that is beyond hot during the day and horribly cold at night (a lot like Iraq actually). There we practiced fighting a mock enemy for 2 straight weeks, 24/7, received mock mass casualty events, received mock incoming enemy artillery fire, repelled direct enemy attack and even where hit with mock chemical weapons that required us to get into our protection suits (JSLIST and M50 series masks) in a simulated chemical environment. We then had to decon ourselves, the patients and then treat and evacuate the “wounded” to the next echelon of care. All the while dealing with actual sick people or soldiers cutting their hands on a piece of steel armor, dropping engine parts on their toes, falling down a mountain or getting injured in a vehicle roll over. Lots of fake injuries with a few “real-world” injuries as well that need to be evacuated to the nearest hospital. Field training can be beyond exhausting, not sleeping for up to 2-3 days straight (not exaggerating one bit on this) or mind numbingly boring, with only the occasional poison ivy patient coming to “sick call” (boring means no one is getting hurt, so you learn to appreciate how good boring can be.) But it can also be genuinely fun. You live with your medics and teach them everything you can to help give them an edge in saving lives and helping sick soldiers get better. All in all Military PA life is good in my book, but the Army life is VERY unique and the culture here is certainly not for everyone. I was a Sergeant First Class and on my way to being a career soldier when I applied to IPAP. So I am biased. Long and short of it, if you and dirt doing get along, perhaps being a PA in the Army isn’t for you. But if deployments, sleepless nights, adventure, responsibility, and plain hard work is right up your ally then this may be a career path you might like. IPAP is a double edge sword. Yes you get a BS and MPAS out of it but it’s also likely the most challenging PA program in the nation. Because the reqs are minimal to apply, you have to complete approx 33 semester hours every 16 weeks. The first year is spent in class from 0700-1700 daily with 3 exams per week. I’ve heard they have lengthened the course but I’m unsure how that impacted the day to day. On the surface it’s great because you don’t have any financial debt. However, once you graduate you realize that you have just sold your soul to the devil. Being a PA in the Air Force is the worst decision I’ve ever made. I spend about 11 hours per day dealing with patient care and most of us work 1 day each weekend in order to complete all administrative requirements. And good luck finding time to perform any actual military tasks. To make matters worse, nurses are in charge of everything and their decisions often put you at risk of harming your patients. There is minimal room for career advancement as you’re simply there to see patients and make the AF “money”. I don’t know any PAs in the Air Force who actually enjoys their job and there are quite a few who are suicidal. In short, don’t be lured by the smoke and mirrors of no debt and travel opportunities. If you bite, you’ll look up one day 10 years from now, and 100 sexual assault briefings later, wondering who your kids are and what happened to your life. Hi Stephan, So what if, I want to get into military PA school in Ft.Houston in Texas? Without going in as active duty enlisted person, Can I just get admission there and then become PA and serve in the Navy after I graduate? Great informative article and comments. I am currently taking undergrad classes after 5 years as an enlistee in the marine corps. I would love to get into medicine, I wish I knew of the IPAP before I got out! Would it be worth it to get back in at an attempt to MAYBE be accepted for it? I would like to be a physician, physiatrist to be specfic, but I’m 28 so I want to hurry, I probably wouldn’t start med school until i’m 30. With that being said I definitely wouldn’t mind taking the PA route. If anyone can give any information for a physician or pa mentor that would be very helpful and motivating. if there is such a thing? Thanks! It is a great profession with 48,000 current job openings, great pay/benefits and a high satisfaction rating – I can’t recommend it enough. I am currently applying for the Air Force HPSP. This year there are only 7 spots available so it seems like it’s going to be pretty competitive. Do you happen to know anyone that is currently a PA in the Air Force or other branch of the military? I’m really looking forward to hearing more about their experiences. My wife was paid to attend nursing school through the Air Force and then when she graduated they let her out of her contract because they didn’t have nursing positions available. Talk about a great deal 🙂 That being said, I have spoke with PAs who work in the military and love their time and their service. I wish I could put you in touch with someone directly but I don’t currenlty have any contacts. You may consider reaching out through the PA forum or on Reddit – there is a very active community there. I recently spoke with the Navy and Air Force about them paying for PA school in exchange for time served. Unfortunately, at least for 2016, they only have the HSCP program for PA students. This pays you a monthly salary while in school of around 4500 but does not cover tuition. If you are in a position where you can use that to pay for school thats great! If not then you will still have student loans. Thanks for sharing this, that is really interesting. What are the after school requirements associated with this in regards to service? If you were able to budget wisely (eating beans and rooming with a couple other PA students) this could work out quite nicely. If you are married or have children this also provides a good source of income to cover expenses and if your partner is able to work you could certainly bring down your loan amounts or take out the loan for safety and make payments on it while you are in school before it begins accruing interest. This is an interesting approach to financial aid! There is always the Interservice Physician Assistant Program (IPAP) option. With that option, you have to be in the military and get accepted, but if you are successful in this, they pay you as an E-5 (about 2,496.60 per month once you have the required years of service, but a little less if you get in early with a waiver). The kicker is on top of that, they pay for housing (about 1,200 per month), Tricare Health insurance for you and your family is covered, and tuition is also fully covered. The program gets you a Masters in PA Studies and you then take the PANCE and get your PA-C. After all this you owe the Branch of service you signed up with about 4.5 years of fully paid service for active duty folks (more time for National Guard or Reserve, but you get to work as a civilian PA instead of a Military one in that case). If this is interesting to you google IPAP and the first link will be the right one. Cheers! Thanks for the great info Rob, I have always been interested in the Interservice PA Program option but have been confused by the process… Thanks so much taking the time to clear this up and providing resources on how to find more information!